Gov. Laura Kelly issued her first veto Monday, rejecting a Republican tax relief package she calls irresponsible. Democratic Rep. Kathy Wolfe Moore suspects the uncertainty about the fiscal impact will keep lawmakers who opposed the bill initially from supporting an override. 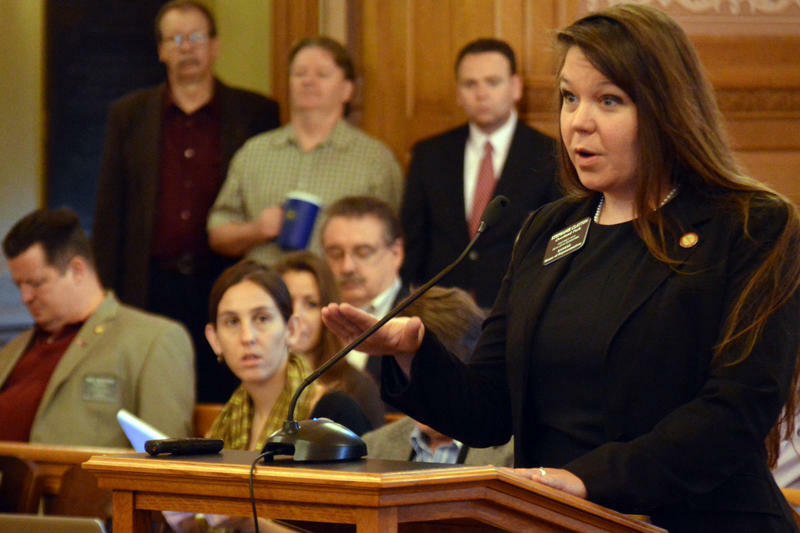 Stephanie Clayton won her fourth term in the Kansas legislature as a moderate Republican but when she started in office this month, she did so as a Democrat. She says she had an abrupt change of heart about a month after the November election last year. It was the day Republican legislative leaders said they wanted to rewrite a school-finance bill that Clayton and other moderate Republicans had worked alongside Democrats to pass in last year's session. For her, it was a breaking point.